GRAVENHURST — An armed robbery at a gas bar on Hwy. 11 Thursday night had police responding to an employee alarm. A Hwy. 11 gas bar in Gravenhurst was robbed late Thursday night by a person who said they had a weapon. Provincial police from the Bracebridge detachment raced to the scene just before 11 p.m. March 21. Officers arrived to find that a male suspect had entered the store, indicated he had a weapon and demanded money. 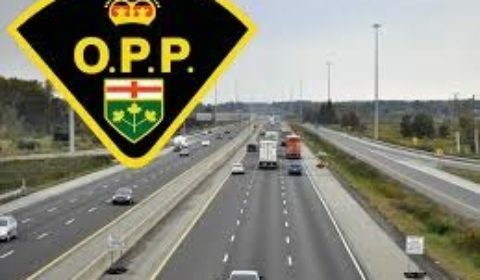 OPP officers including Emergency Response Team (ERT) and Canine Services responded and a search was conducted, but the suspect was not located. Police say no one was injured in the commission of this crime and the investigation is ongoing. They are now are appealing to community members for information. Anyone with information is asked to please call Bracebridge OPP at (888)310-1122 or call Crime Stoppers at 1-800-222-8477. You can submit your information online at www.crimestopperssdm.com if you have any information on this crime or any other crime. Crime Stoppers does not subscribe to call display and you will remain anonymous.